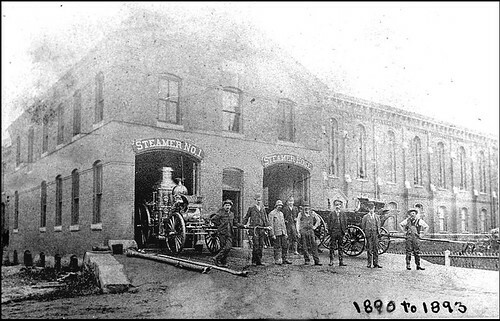 Photograph of the Keene New Hampshire Fire Station on Vernon Street, taken around 1890. In 1885, the Vernon Street station was completed. It was enlarged in 1892. This entry was posted in NH and tagged ~1890, fire, Keene, Station. Bookmark the permalink.